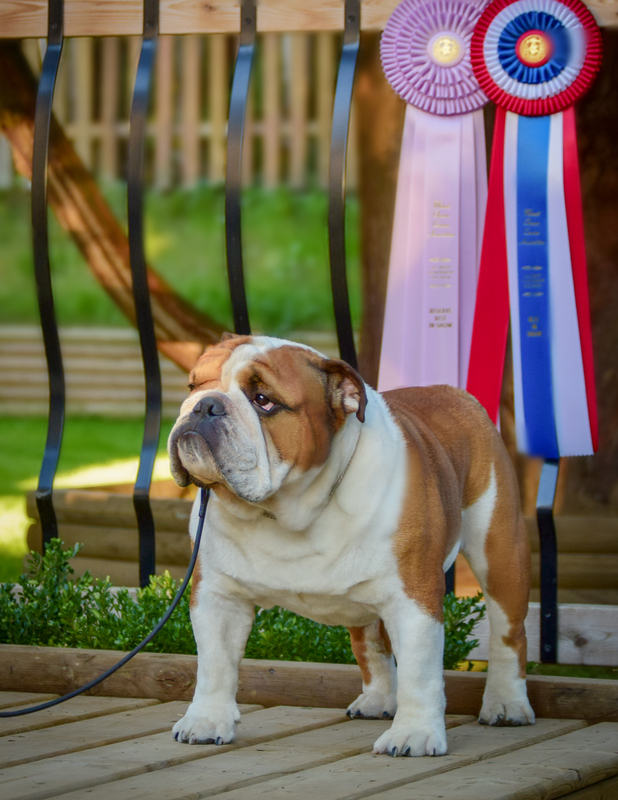 Mario is a one of the top bulldogs in Canada. Multi Best in Show, Best in Specialty Show, Multi Reserve Best in Show, Multi Best Puppy in Show and more than hundred of Group placements. He was Canada's Bulldog #1 in 2015. He was Canada's Bulldog #2 in 2016 and 2017. As a stud dog, he is highly proven. He produces nice and healthy puppies. Some of them are champions too. Mario's stud fee is 900$. Feel free to contact us and we will discuss all questions and details.